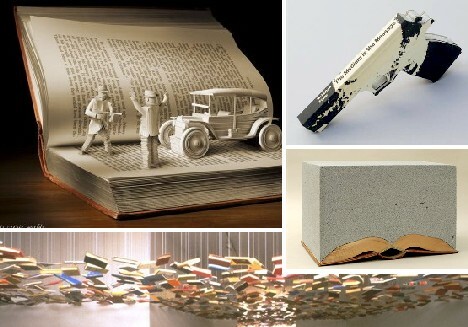 Who would have thought that books could be used for something other than, well, reading? Artists today are breaking down the walls between different types of art. 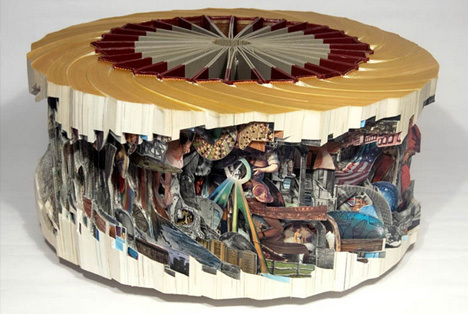 Just as some have used materials as unorthodox as sand and even light to craft unique artistic statements, today’s brilliant book artists combine literature with sculpture in a new form of expression that has an effect greater than the sum of its parts. Some book artists work exclusively in the literary medium while others will delve into it only occasionally for a stated purpose. Barton Lidicé Beneš falls into the latter category with his bold and somewhat disturbing “Censored Book”. The sharp, rusty nails and complex rope knots graphically underscore the heavy hand of censorship in all of its crude, single-minded power. 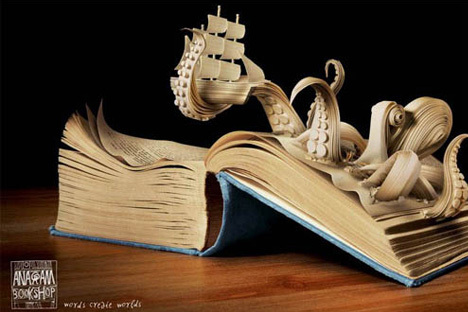 Brian Dettmer employs books in a variety of creative ways in order to express a vision that goes beyond mere words alone. Dettmer often selects books with images as well as text, which gives his book art an extra dimension of imagery. Georgia Russell chooses as her instrument the surgical scalpel, slicing and shredding books, photos, even currency with the alacrity of an experienced brain surgeon. Russell’s book art is barely recognizable from the source, displaying a feathery complexity that tends to evoke feelings of hope and despair. For those who like the written word to jump right off the page, the above images from Kaspen are just what you have in mind. The design firm created these strikingly presented book art images for the Anagram Bookshop in the Czech Republic. The pen may be mightier than the sword, but book artist Robert The takes things one step further with his stark book-art guns. Religions and regimes throughout history have feared the written word yet have sought to use it to their advantage. 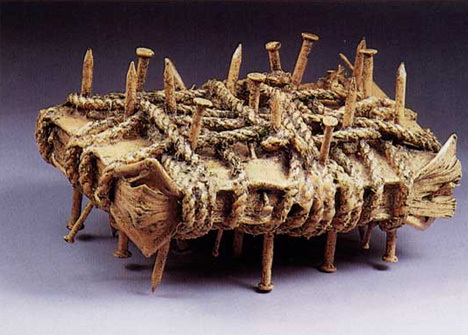 Robert The’s creations dramatize the power of the word by equating it with a deadly weapon. 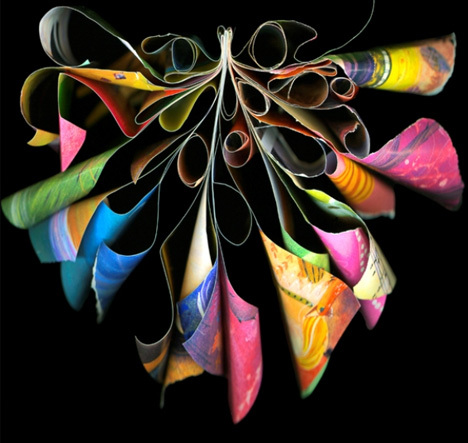 Cara Barer is a Texas-born and raised artist whose art uses books distorted in various ways that make them unrecognizable. In doing so, she is able to coax new meaning where there was only typeset text before. Says Barer, “No important books have been injured during the making of any of these photographs.” Unless, of course, one feels a primer on Windows 95 is important. 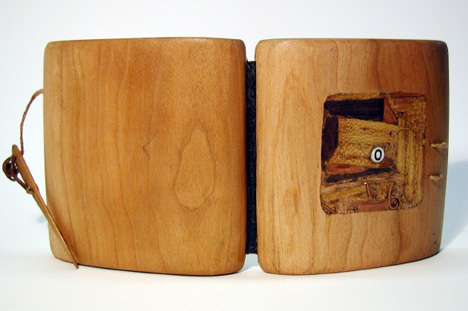 Take one book, add polished Maple wood, a few guitar strings and a dash of artistic vision. That’s the recipe Kristy Higby uses to make her one-of-a-kind book art, such as “Red Ghost”. Considering the obvious care and labor Higby puts into her creations, they’re not the kind of books one might toss into a beach bag for some light reading on a summer weekend. 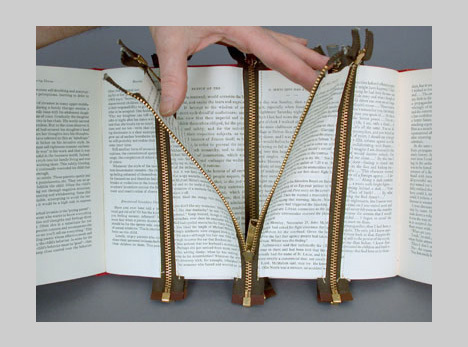 Book art often seeks to escape the perceived static boredom of a closed book. 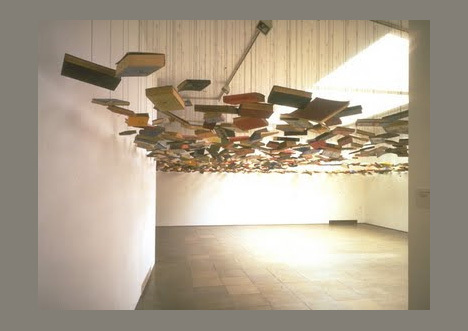 Richard Wentworth’s expansive installation (above) at London’s Lisson Gallery typifies this aesthetic, showing an immense “flock” of books suspended from the galley’s ceiling as if frozen in mid-flight. 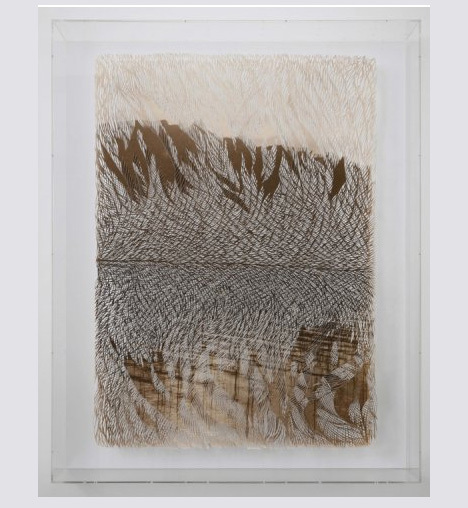 Wentworth, born in tropical Samoa and a longtime fixture of the British art scene, was formerly an art teacher and had the very first art project to be funded by the UK’s National Lottery. Anyone into “heavy reading” should consider Jonathan Callan. 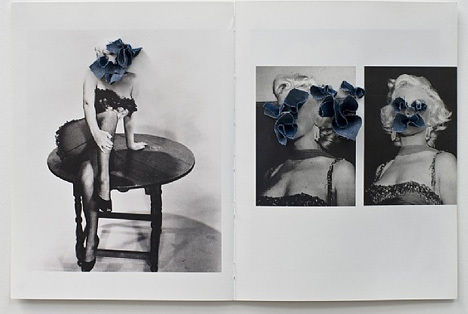 Using books as the basis for a wide range of varied pieces, Callan’s sense of humor is prominently displayed in works of book art, shown above, that are anything but subtle. Everyone can accuse book artist Doug Beube of twisting their words… because that’s what Beube does, literally. 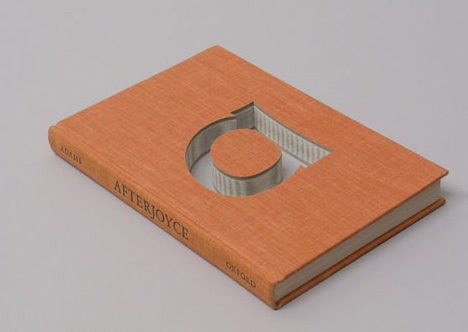 Employing the natural flexibility of paper, bindings and spines to full advantage Beube bends, twists and shapes books into whole new dimensions of meaning. One may no longer be able to read the books Beube morphs but it’s up to each individual onlooker to read meaning into the artist’s contorted constructions. Book artists are turning a new page in expressive art and, to play further on the pun, dare their work to be judged for more than just the covers. Read ‘em and weep? Like all art, appreciating the best in book art depends on the con-text it’s taken in.